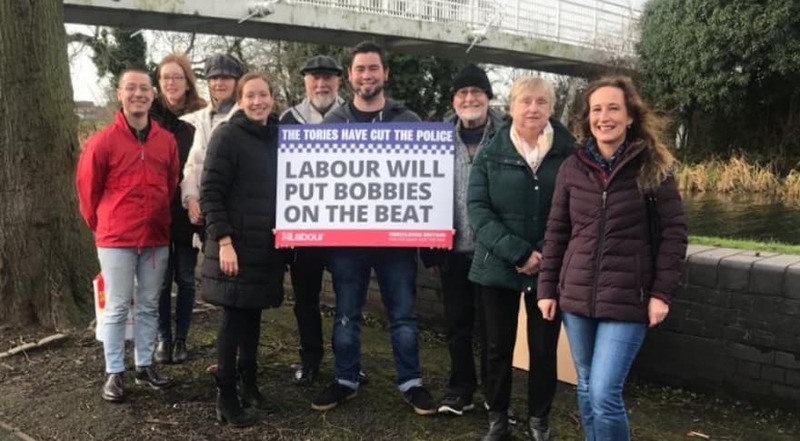 Local members began the day in Long Eaton Central ward, discussing the ’20’s Plenty’ campaign that has come out of recent conversations with residents. Studies show that 20 mph speed limits result in a 20 % reduction in road casualties, and the 20’s Plenty campaign looks to reduce the speed restriction to 20 miles per hour in all residential areas. This scheme isn’t new, and has been implemented in numerous council areas around the UK. 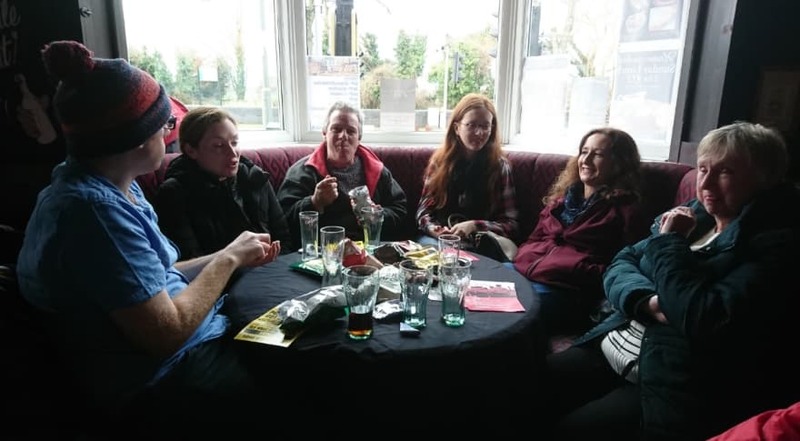 Campaigners distributed leaflets around the local area, asking for further opinions on implementing the scheme in the area. Leaflets were freepost addressed, so residents could pass on their ideas about the scheme. So far, however, campaigners have received broad approval for the scheme in Long Eaton. 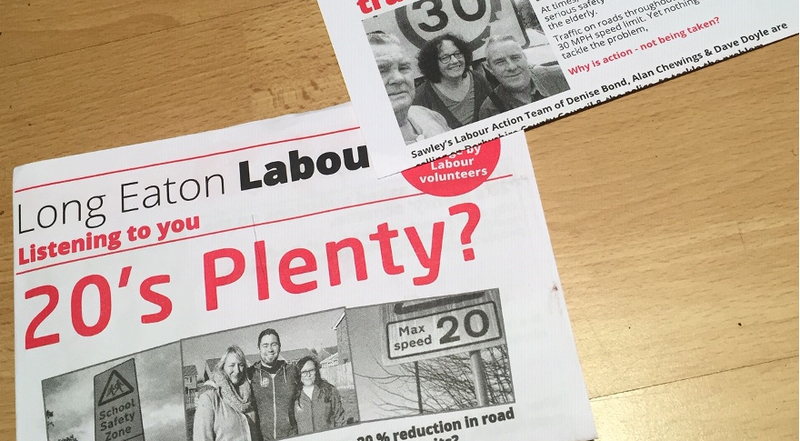 Long Eaton Central Borough Council candidate, Adam Thompson, said this: “Lots of residents have told me that they’d like to see a 20 mph limit in Long Eaton. Statistically, by reducing the speed limit in all residential areas,people are safer than by just reducing the speed limit in small areas around schools, and the effect on children’s safety in particular is significant. I think the scheme is a great idea, and it has had great success in other areas in around the country. 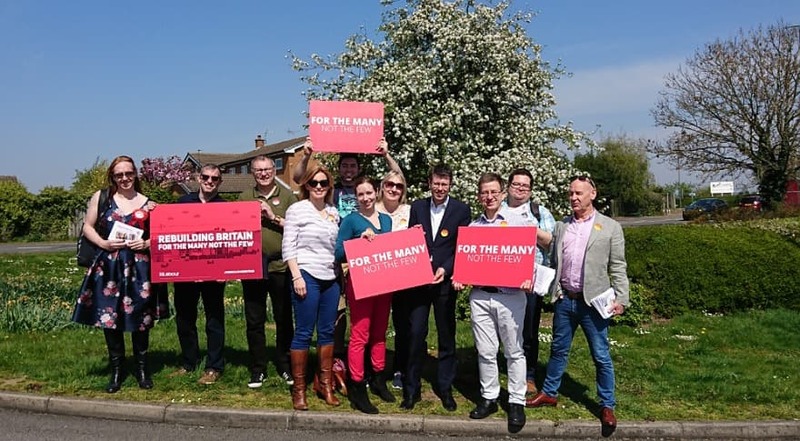 Follow the morning’s campaign session, campaigners took a well-earned break in the Barge Inn, before departing for Nottingham Road ward for a second session in the afternoon. Great concern was shown in the ward regarding the construction of the HS2 line. 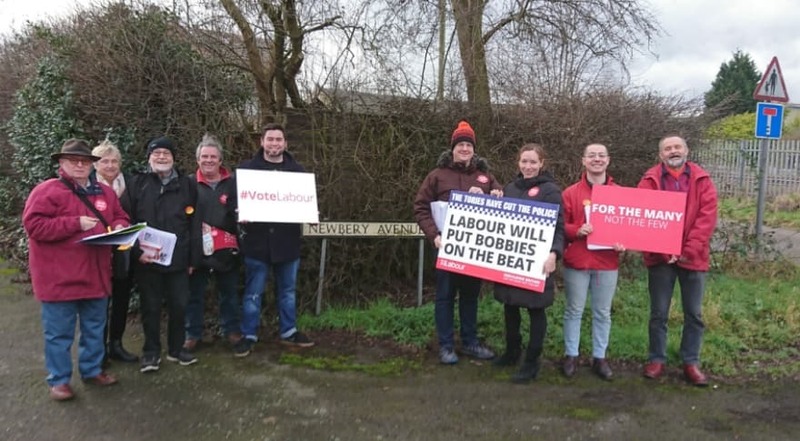 Campaigners were proud to report Erewash Labour’s recently affirmed complete opposition to the HS2 project, and to pledge to do everything in their power to fight the construction of HS2, and to prevent it destroying our town. 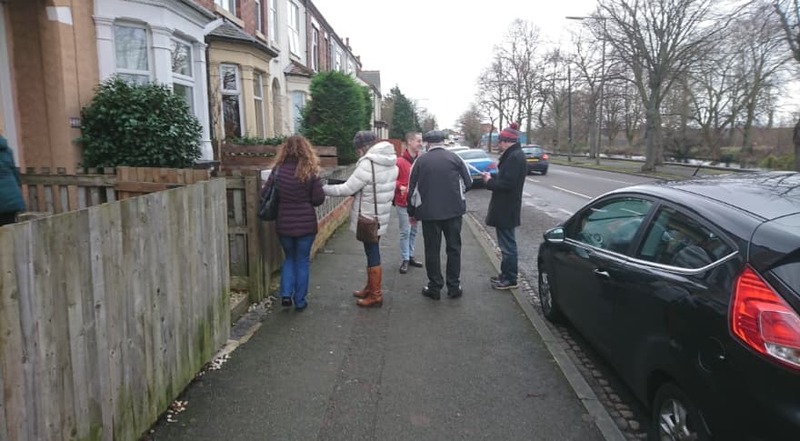 Residents in nottingham Road ward were also pleased to hear about the 20’s Plenty campaign, and agreed that it would be a great benefit to the area.